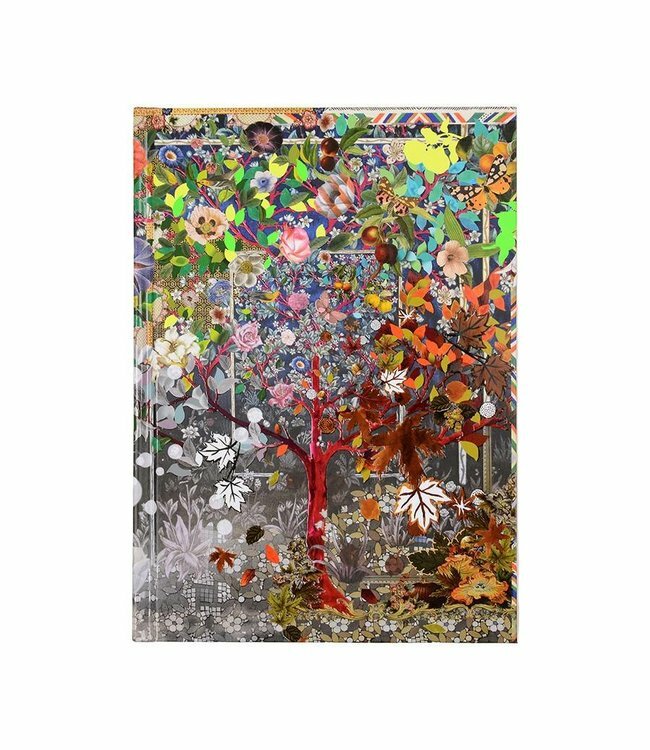 Update your stationery collection with this Four Seasons notebook from Christian Lacroix. A vivid display of colour and design, this notebook depicts the changing seasons through its flip book design with no two pages the same. With a colourful front cover representing the four seasons, the endpapers are UV spot and gold foil detailed and the notebook also has a sticker page with detachable plant markers. Finished with a black and white chevron striped ribbon marker, it is presented with a signature Christian Lacroix stamped belly band and there are more essential stationery items available from the fashion-led brand.